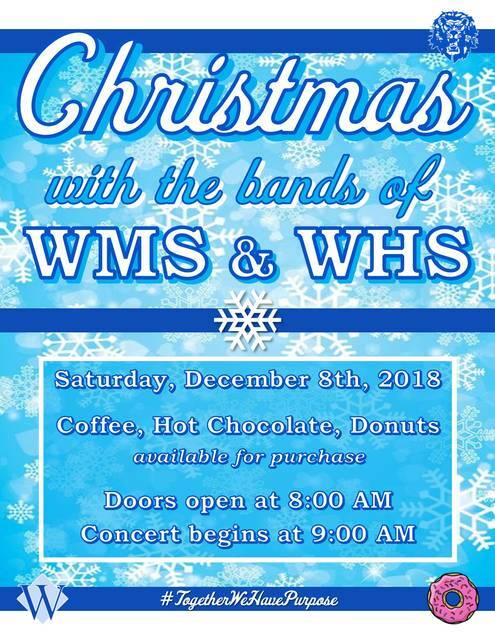 The weekend will begin with “Christmas with the Bands of WMS & WHS,” on Saturday morning. Doors will open at 8 a.m., with a selection of donuts, hot chocolate, and coffee, available for purchase. The community is invited to this light breakfast before enjoying the performances from the Washington Middle School seventh grade band, Washington Middle School eighth grade band and Washington High School Blue Lion Marching Band. This concert is free admission for all attendees. The first song will be performed at 9 a.m. on Saturday, Dec. 8, in the Washington High School gymnasium. 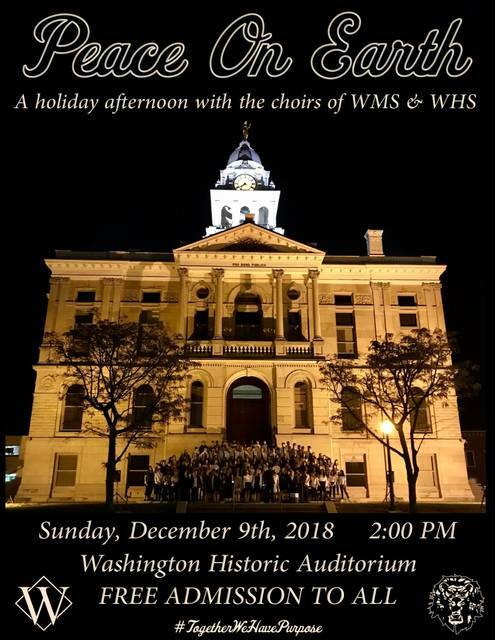 On Sunday afternoon, the community is invited to “Let There Be Peace on Earth,” this year’s annual holiday concert, brought to you by the vocal music departments of Washington Middle School and Washington High School. Student-musicians from the WMS seventh grade choir, WMS eighth grade choir, WHS SSAA Chorus, WHS TTBB Chorus, and the WHS Symphonic Choir are excited to perform an array of holiday hits for the community. Alumni will also be invited to join the symphonic choir in a performance of “Silent Night.” This annual tradition is open to any Blue Lion who sang in choir during their time in Washington High School, regardless of their era and director. For more information, contact Jared Joseph at jared.joseph@wchcs.org or 740-636-4221. “With audience sing alongs and a concert filled with a variety of holiday music, this concert will entertain audience members of all ages,” said Joseph. Admission is free for all concertgoers, with donations accepted at the door. The music begins at 2 p.m. on Sunday, Dec. 9 in the Washington Historic Auditorium. The information in this article was submitted by the Washington Court House City Schools.